Finance ministry mulls a tax break for small businesses. Ministry of Finance on its official Facebook page has promised not to abolish the flat tax and simplified tax system and proposed a five-year tax holiday for newly established businesses. The pledges run contrary to the Ministry of Finance's recent attempts to scrap the simplified taxation system. Earlier, the government has repeatedly tried to reform simplified tax system and in fact reduce it to nothing. In particular, in 2015 the then Minister of Finance Natalia Yaresko proposed to raise taxes for entrepreneurs working on a simplified system. In 2010, the Minister of Finance Fedir Yaroshenko attempted to cancel the simplified system. The policy triggered "the Tax Maidan." In the meantime, many experts on taxes and duties favour a reform of the simplified tax system. The auditing company Ernst & Young back 2012 advised Ukraine to cancelling the simplified system, saying it has turned into an internal offshore. The IMF recommended revamping the simplified system in 2013. Earlier in 2016, an advisor to the prime minister of Ukraine, Slovak reformer Ivan Miklos also advised to change the simplified system, describing it as "a legal tool of tax evasion." In a recent article for LB.ua, the editor of the specialized publication on personal finance management "Dengi.ua" (in the past – managing editor of the business monthly Business, and the editor-in- chief of the magazine Profil-Ukraine), Oleksandr Kramarenko told about finance ministry's new attempt to dismantle the simplified system. 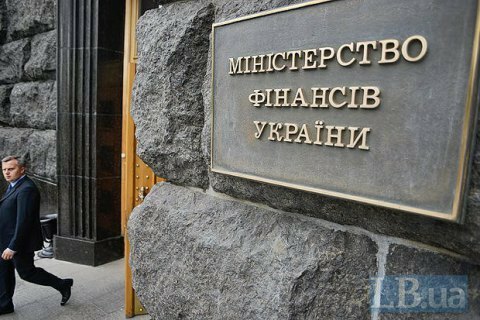 He came to such a conclusion based on the analysis of the draft Law "On Amendments to the Tax Code of Ukraine" that the ministry of finance was working on.